Our client, a large global consumer healthcare organisation, wanted to host an annual meeting for one of their divisions within the company. This event would take place over one and a half days consisting of meetings, breakout sessions, a large team building exercise, gala dinner and awards ceremony. The main objectives of this event was to share results from a recent culture survey, establish targets and key areas of focus for 2014. This would provide everyone with a renewed energy buzz for the challenges to come. 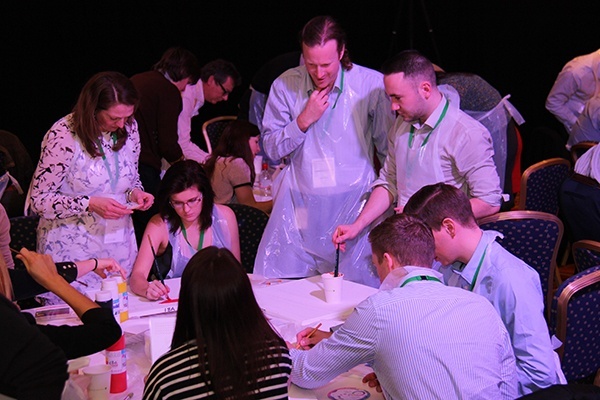 A last minute venue outside of London needed to be sourced, in addition to this, it not only needed to accommodate 350 delegates during the day’s activities but also provide enough rooms overnight! 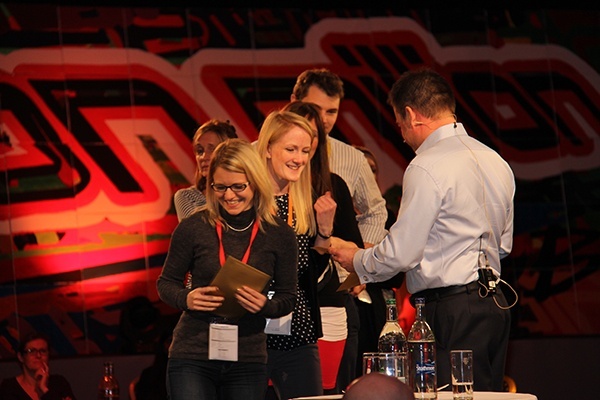 The theming for the whole event was around our client’s sales targets. 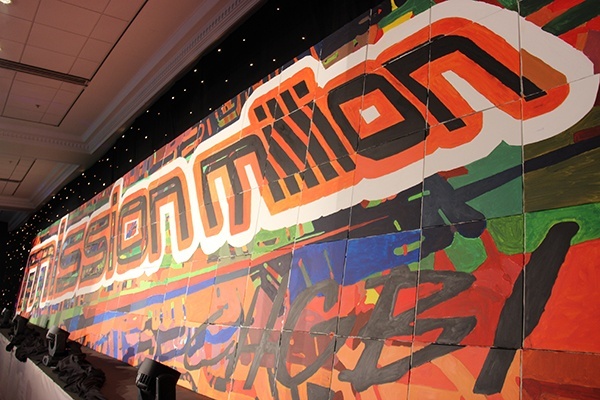 We came up with the slogan and branding for this event – ‘Mission Million’ which was reflected throughout and was the inspiration for the large team building activity called ‘The big picture’. All members of the team were involved in painting large canvas tiles which were then put together to reveal a jaw-dropping masterpiece at the end.